Welcome to the latest newsletter from Oxford College of First Aid. This month, we have a story about Kay from Banbury, who as part of her work, was trained by the Oxford College of First Aid in Paediatric First Aid. This course included learning CPR skills albeit for children. Six months after attending our course, Kay put her learning and new CPR skills into practice when her neighbour collapsed suddenly and required life saving resuscitation. Kay said: "I'm so proud that I was able to save a life and it's all down to the excellent training I received. I knew exactly what to do and that made a huge difference." We were delighted to hear her story and we really admire Kay for having the confidence to take the necessary action needed to save her neighbour's life. Would you be able to do what Kay did? 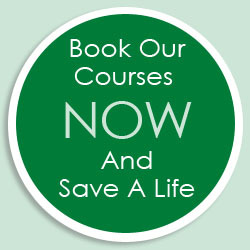 Book on our Emergency First Aid At Work course on 16/01/2013 to learn what to do and to acquire the confidence to take action. "Hi Jane, I just wanted to feedback straight away on the fantastic Paediatric and Emergency First Aid training delivered by Peter. He really is an excellent, engaging and highly knowledgeable trainer. Everyone who attended thoroughly enjoyed the course, and learnt a great deal." Does Your Business Need First Aid Cover? The first part of this question is all about your legal duty to make sure that your staff and any visitors to your premises will be properly looked after if an accident or emergency occurs. All companies have a statutory obligation to provide adequate first aid provision. However, some professions have a higher duty of care to ensure they have adequate emergency first aid cover - especially where their employees are exposed to higher risks than other professions. In the construction, automotive, engineering, and chemical industries, for example, many of their employees are likely to face higher risks than, say, a clerical office worker. Whilst adequate provision of first aid is a STATUTORY OBLIGATION, the interpretation of the Health and Safety Executive (HSE) Guidelines is not quite as straightforward. However, it is pretty clear that an organisation's responsibilities for its employees increase in line with the potential risks of injury or death. The second part of this question concerns your business values and the internal and external marketing of your business. If you employ staff, are you going to attract and keep the best "talent" if you don't demonstrate how much you care about your employees' wellbeing? A poor attitude to First Aid could give the impression that the organisation doesn't value its staff quite as much as they will expect. So, that's just two good reasons to ensure that you are properly up to date with your first aid training courses and first aid supplies! We can advise you about the latest HSE guidelines and assess your individual workplace needs. Everyone knows that it is important to cool the scald or burn in clean cool water as soon as possible, don't they? Yes but they consistently UNDERESTIMATE the length of time needed to cool the burn fully. You should continue to cool the burn for at least 15 minutes. Excuse the following analogy but this has helped this important message to sink in. When you take the Sunday joint out of the oven, you leave it "to rest" for 15 minutes. It's not cooling down at room temperature - it's actually still cooking! Many burns will continue to damage the skin for far longer than people realise, so it is really important to cool the burn in clean cool water for 15 minutes. Then seek medical attention for anything other than a very minor burn. This month, we have a complete First Aid Kit, packed full with everything that you need from plasters, pads and all sizes of bandages to scissors and safety pins etc. "There are three main types of bandage: roller, tubular and triangular. Which type of bandage would you use to form a sling? Email your answer and contact details to Jane at: info@ocfa.co.uk and we'll draw one winner from the correct answers on Monday 16th December 2013.